WWME - Why Consider a WWME Weekend? Why consider a WWME® Weekend? Has squeezing the toothpaste tube from the middle doused the flames of romance in your marriage? Does your family deserve the love that Mom and Dad will discover on a Worldwide Marriage Encounter Weekend? 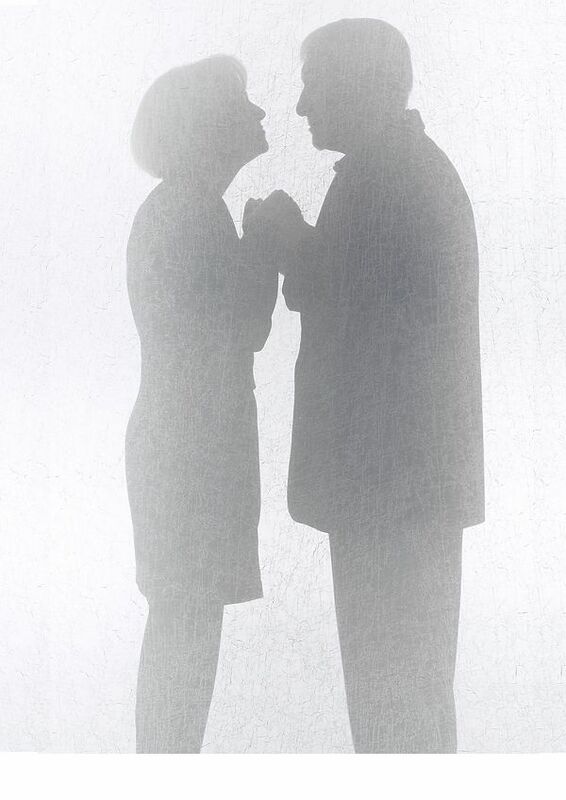 Are you looking for a way to include God in your marriage? A Worldwide Marriage Encounter Weekend has something in it for every married couple. What you get out of a Worldwide Marriage Encounter Weekend will depend largely on where you are at in your relationship on the Weekend you go. You will get whatever it is you need at that point in time. In the Parable of the Sower, Jesus talks about the rich soil. The rich soil has many different nutrients in it. The plant draws out the nutrients it needs at any given point in time. Worldwide Marriage Encounter can provide some of the rich soil your marriage needs to bear fruit "a hundred or sixty or thirty fold." Remember when you were dating? Going for long walks. Talking long into the night. Looking into each others eyes. Holding hands. Sharing warm joyous laughter, … When couples think back on their dating days, they often end up wondering "what happened? … " They might long for the closeness they once felt yet judge that it isn't possible in the hustle and bustle of their current lives. Not true! Absolutely not true! The intimacy you shared doesn’t need to be just a distant memory. It’s closer than you realize and it’s more wonderful then you remember. A Worldwide Marriage Encounter Weekend can help you rekindle that closeness, that warm intimacy. A Worldwide Marriage Encounter Weekend gives you tools and techniques you can use that will deepen your intimacy more and more as life unfolds. In the ups and downs of marriage, sometimes couples need a little something to snap themselves out of the downs. The communication technique and the other tools learned on a Worldwide Marriage Encounter Weekend are often just the remedies a couple needs. Using these techniques on an on-going basis, many couples find that with the ups and downs, the downs are fewer, shorter, and farther between while the ups are more frequent, longer, and more wonderful than ever. Matrimony is a sacred union between you, your spouse, and God. God is on your team! How can you beat that? We can embrace God as the third member of our Sacrament, or we can forget that He's there with us. As a three legged stool stands infinitely better than a two legged one, marriages are at their strongest and at their best when husbands and wives welcome and embrace God as the third member of their Sacrament. Worldwide Marriage Encounter Weekends helps many married couples get started or continue on their spiritual journeys as couples. The relationship between husband and wife is the foundation of the family. When a couple shares greater love, joy, intimacy, understanding, spirituality and communications, the children are the first to notice and feel the affect. Our children are the seeds and our Sacraments of Matrimony are the soil they fall on. By nurturing and cultivating our Sacraments we provide rich soil for our children to grow, flourish, and blossom in. "In good times and in bad." As with good times, hard times are part of life itself. Serious illnesses, deaths of loved ones, family difficulties, struggles with work or finances, . . .
Hard times can bring a couple together or can leave the husband and/or wife feeling isolated and alone. On Worldwide Marriage Encounter Weekends, married couples learn an effective communication technique that helps them face troubled times together. "I wish we could just sit down and talk!" Have you ever said that to your spouse? Do you wish you could take your "talk" to a deeper level of listening and understanding?In this busy day and age, there is a tendency for couples to lose touch with each other . Husbands and/or wives can get to the point where they don't think that they understand their spouse very well, or that their spouse understands them. This shortage of understanding leaves spouses feeling isolated and alone, vulnerable and anxious. Understanding each other is a wonderful lifelong adventure. On Worldwide Marriage Encounter Weekends, couples do exercises and reflections that help them to understand both themselves and their spouses better. Then they learn a communications technique which helps them stay tuned into each other as they head down life's highway together. Amazingly, as our spouses use the technique to understand us better, we often come to know and understand ourselves better in the process. In the ups and downs of marriage, the ups should be really really up! And they should be fairly common. Marriages should contain healthy portions of of joy, fun, zest, passion, sizzle and spice! Marriage is one of the greatest of God's gifts, if it doesn't feel pretty darn good pretty darn often, God is offering you more. You just need to accept his invitation! The world has a way of lulling us into a sort of rut. We end up developing a habit of hitting the snooze alarm on our marriages and rolling over for another few minutes. Years can go by and we can forget how great it feels to be fully awake and alive, fully intimate with our spouses. Snap out of it! Come on a Marriage Encounter Weekend and re-ignite the sizzle of your dating days! Is it time for your 5 year tune-up? Cars need to be tuned up periodically. Plants need fertilizer. Doctors, lawyers and professionals of all types need continuing education. All these things are important, but your marriage is more important. In order for the soil your marriage is rooted in to stay rich year in and year out, you need to en-rich it periodically. A Worldwide Marriage Encounter Weekend is the perfect way! What could be a better gift for your spouse than the gift of yourself? Be it a gift you give each other for a Wedding Anniversary, Christmas, a birthday, Valentine's Day, or other special occasion, the gift of a Worldwide Marriage Encounter Weekend will keep giving your whole lives through. A Worldwide Marriage Encounter Weekend is a gift that you and your spouse will remember, treasure and benefit from forever! Sometimes the thing we really need is to just get away from the rest of the world for a couple of days and just really focus in on each other. As simple as that sounds, it can be a bit of a trick to arrange sometimes. Worldwide Marriage Encounter can provide the structure and the unobtrusive "tour guides" you need for a romantic, intimate getaway adventure. 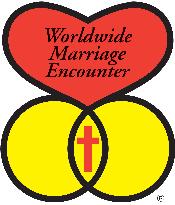 ©2017 Worldwide Marriage Encounter®All Rights Reserved.The “heart-rings-cross” symbol, “Worldwide Marriage Encounter”, “Encuentro Matrimonial Mundial” and “WWME” are all registered trademarks of Worldwide Marriage Encounter, Inc.